I hear that he's seriously thinking of joining the caravan of illegals macca, since he found out that the $1 a day that they are given, is in cold had US currency, not South Pacific Rupees!!! 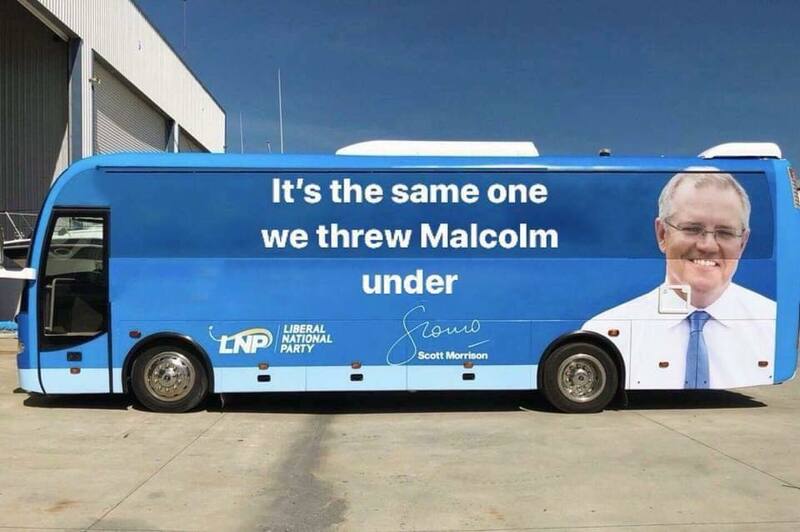 What sort of marketing genius advised him to travel in a sky blue bus through Queensland? Looks like an egg and paint bomb target to me. I’m pretty sure it wasn’t Bob Katter PT. 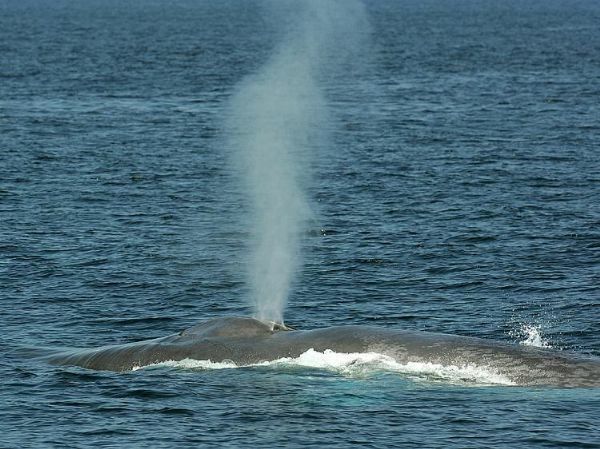 Congratulations on your progress Whale . You seem to stop and think these days , before your mind blows. But weight tests all bridges eventually. Maybe your more consistent with the medication now days or put more Ice in the Scotch. Keep it up , PT can't afford to be losing troops with the mid terms and local elections on the horizon. OR are you still celebrating the $3.50 pension rise. BobKat is feeling his power today, with a minority govt and the status pf 2 govt MPs in question, including the odious Dutton, he has announced today that he will support referring them to the High Court. I reckon the big blue blunder-bus will be swinging by the electorate of Kennedy with the boot full of goodies for Bob. YES PT... Some shaky ones here in Qld . Get Up and Co are getting in early in DIXON . Peter Dutton is at great risk me thinks . show the people , how bad Labor really is. Too many seem to have Forgotten Rudd & Gillard. Brick bats , School rooms etc. Should have got a bigger bus! And so he should be. Assh0les certainly aren't defined by political allegiance. ps wonder if the alleged pay-outs with non-disclosure clauses are going to save Barnaby? Indeed, being drunk and cannot remember is no excuse for anything. Was surprised given what is out there that he has gone on the offensive. Labor is better off without him. Barnaby might need to join the new the Pauline/Latham Party. Nats are done with him I think. "As shaken as I was, I decided not to take any action and asked Sean to keep the events in the strictest confidence. Mysterious. How did this, and the Geoffrey Rush allegations, end up on the front page of the tabloid? Who told him? Not the alleged victim or the alleged witness, allegedly. Cute. She doesn't want to make a complaint; She swears the witness to secrecy; Then she reports it to the ABC. WTF did she think was going to happen then? Actually she said she reported it to her employer(as she should to protect herself with it being an official function) after another reporter asked her for a comment, so it must have been out there. Maybe Sean Nicholls her witness sworn to secrecy put it out there. Maybe he has his own witnesses. She said she has had 2 recent phone conversations with Foley with him ringing her to apologise and promising to resign. I wonder if the journalist in her made her record the conversations. I think I would under the circumstances. Politics 101, claim innocence vow to sue. Hope he didn't try to put out any fires Bazza style on his Make Queensland Great Grate Again tour. The Foley allegations have some odd questions. Stated they were "batting on" after the function was over. One has to ask how the lady was dressed if a man can put his hand on her bare bum and she stands there , no complaint and talks about it 2 years later. Foley is going legal ... Should be an easy one if there is no records of his alleged, recent phone calls to the complaining Lady..